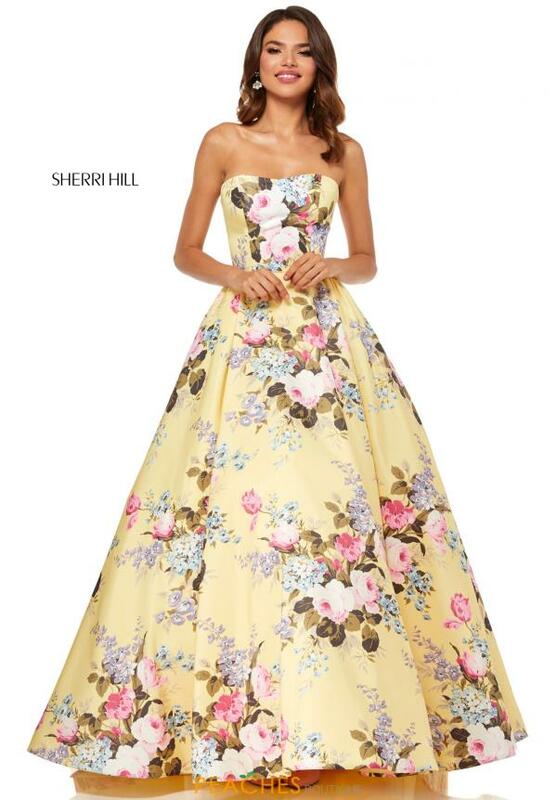 Fresh and fun for senior prom is the way to go when wearing this magical Sherri Hill dress 52553. This full A-line gown features a chic straight strapless neckline and voluminous skirt for the perfect amount of drama. A breathtaking floral print is featured along the entirety of the gown, giving you the perfect pop of color for the spring time.